Divas with a Twist is a high energy show band that features 5 powerhouse female vocals backed by Grammy nominated musiicans. 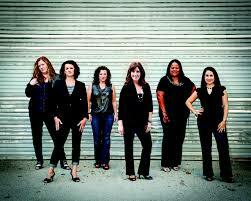 With dynamic harmonies and fresh arrangements, the Divas sing Pop, Rock, R&B, Country and Broadway. This exciting show is perfect for Clubs, Theatres, Dinner Theatres, Corporate Holiday Parties & functions and private parties!!! !